Church of Ministries has contacted Pastors Ken Love (state pastor for Florida), Tim Teague (chairperson for the General Assembly in Alabama) and Mike Claypool (regional pastor for the Carolinas) ahead of the arrival of Hurricane Michael. Lines of communication have been established and we are now awaiting the onslaught of this storm. Please join us in praying that this major storm will pass through quickly with a minimum of damage. 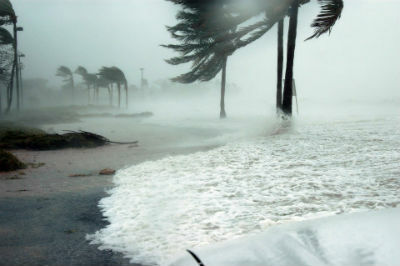 After having seen the devastation of Hurricane Florence (thankfully, Church of God congregations in the Carolinas did not experience major difficulties in that storm), we anticipate extensive wind and water damage across the region. If you would like to give to assist in relief efforts due to this monster storm, please know that 100 percent of all monies received designated Michael Relief will be forwarded to our churches and relief efforts on the field, working with our local Church of God assemblies. Donors need only write “Michael Relief” on their checks or message line with gifts to assign gifts accordingly. Whenever disaster strikes or needs arise, Church of God Ministries will make sure that 100 percent of all gifts and donations will be utilized for relief efforts. If you have questions or comments, please do not hesitate to contact Dr. John M. Johnson, disaster relief coordinator at Church of God Ministries: 800-848-2464, ext. 2107, or by e-mail at JJohnson@chog.org. This entry was posted in All Church of God, Disaster Relief and tagged aid, Alabama, Carolinas, disaster, Disaster Relief, Disaster Relief Committee, Disaster Relief Team, donations, DRC, flooding, Florida, Giving, Hurricane Michael, Ken Love, Michael Claypool, Mike Claypool, North Carolina, rain, South Carolina, storm, surge, Tim Teague, wind. Bookmark the permalink.